In 1994, Vincent Tinto, Anne Goodsell Love, and Pat Russo published Building Learning Communities for New College Students: A Summary of Research Findings of the Collaborative Learning Project (PDF). This project, the first longitudinal study of learning communities, examined the experiences of new college students at two community colleges and one research university. The study showed that participating in a first-year learning community helped students develop a network of supportive peers, make connections between their academic and social experiences, and develop a deeper appreciation for the many ways knowledge is constructed. In 2003, the first comprehensive review of learning community assessments, Learning Community Research and Assessment: What We Know Now, alerted practitioners to the geography of learning community practice beyond their campus. The research team—Kathe Taylor, William S. Moore, Jean MacGregor, and Jerri Linblad—studied every program assessment, institutional research report, thesis, dissertation, and national study they could find. At the time of their report, learning communities had spread to diverse campuses across the country including two- and four-year institutions, both public and independent. Their findings highlighted what many educators knew about their own campus learning community program but on a far broader scale. Retention rates and academic achievement for students in learning communities—defined by the research team as a cohort taking the same classes, often with a unifying theme, and often tied to a residence life experience—compared positively with students enrolled in stand-alone classes. This finding applied to developmental, college-level and honors programs, those designed to meet general education requirements or to introduce students to the professions and majors, and those that combined curricular and co-curricular learning. There was one caveat. As the researchers noted, most studies relied on quantifiable data: student retention, grades, grade point average, and student satisfaction. Very few studies assessed the quality of students’ learning experiences in learning community programs. In 2006, Washington Center launched a national project on Assessing Learning in Learning Communities to rectify this omission, followed by the Online Survey of Students’ Experiences of Learning in Learning Communities. Since Taylor and her colleagues' inventory of predominantly field-originated research and assessments, additional studies have illuminated learning community practice. The 2007 National Survey of Student Engagement Annual Report, based on data from four-year colleges and universities, identified learning communities as one of ten “high impact undergraduate practices.” In 2008, Cathy Engstrom and Vince Tinto published a longitudinal study, Learning Better Together: The Impact of Learning Communities on the Persistence of Low-Income Students (PDF), of learning communities for developmental students at thirteen community colleges using a modified version of the Community College Survey of Student Engagement, supplemented by in-depth qualitative case studies at three participating institutions: Cerritos College, DeAnza College, and LaGuardia Community College. The findings showed that students in learning communities had higher persistence rates than the control group. And, based on self-reports, students experienced higher levels of engagement, more positive experiences at college, and a higher assessment of their intellectual gains compared to their non-learning community peers. In July 2012, MDRC released two reports as part of their six-year Learning Community Demonstration Project. One of them, Commencement Day: Six-Year Effects of a Freshman Learning Community Program at Kingsborough Community College (PDF), shows strong results. The other, The Effects of Learning Communities for Students in Developmental Education: A Synthesis of Findings from Six Community Colleges (PDF), showed mixed results. Kingsborough’s one-semester freshman learning community program—supported by committed administrators and ongoing professional development for teaching teams—included enhanced counseling and tutoring for students who were enrolled in an English course (primarily college level), an academic course within the student's major, and a freshman orientation course. The six-year study at Kingsborough found that students' short-term and long-term outcomes improved, with more learning community students (35.9%) earning a degree within six years than the control group (31.3%). By contrast, the short-term findings at the five community colleges other than Kingsborough were less conclusive, with no measurable impact on persistence and a half-credit impact on credits earned in the targeted subject area. 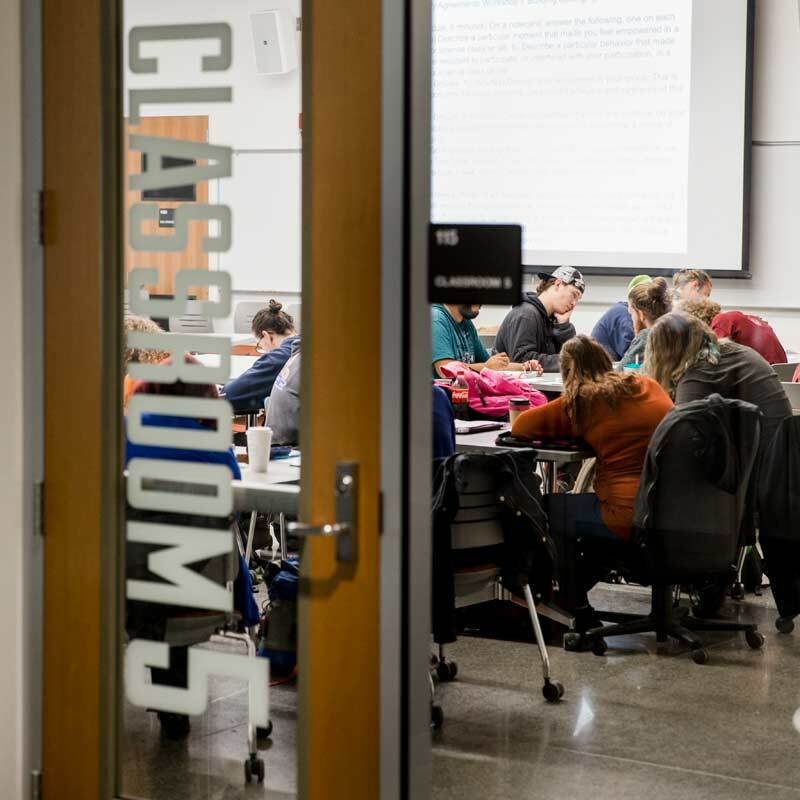 In this MDRC study, "learning communities" were loosely defined as having linked courses, student cohorts, faculty collaboration, and student support. But the degree to which learning communities studied at the six campuses had these characteristics varied: some learning communities had student cohorts, some didn't; some learning communities had support from department chairs, deans and senior administrators, some didn't. On some campuses there was no evidence of faculty collaboration (some faculty did not know they were teaching in a learning community) and no collaboration occurred between student support services and academics. To date, much of the research on learning communities—including MDRC's study at Kingsborough—supports the claim that, done well, learning communities have positive impacts on students' learning experiences, persistence, and achievement. Much of the research shows higher levels of student engagement, stronger relationships with faculty and fellow students, stronger connections to the institution, and—as reported by students—greater understanding of concepts of integration and higher-order thinking skills.